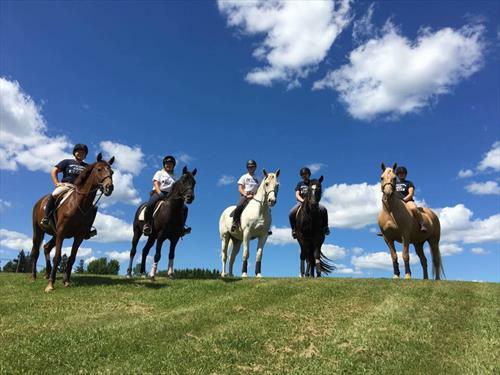 Bryn Mawr Riding Camp is looking for qualified staff for the summer of 2019! Please visit our website, www.brynmawrridingcamp.com for applications and additional information. 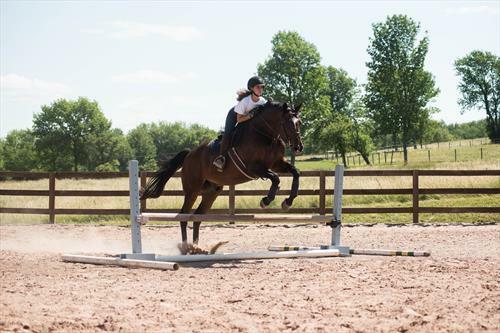 About The Facility: Bryn Mawr Riding Camp accommodates 40 horses from The University of Findlay and Centenary University each summer on its beautiful 50 acre farm. The facilities include 40 stalls, an indoor riding arena, 5 outdoor arenas, acres of trails, and a cross country course. Job Description: Responsibilities include all aspects of barn care for our 40 horses, teaching hunt seat riding lessons from beginner to advanced (depending upon level), schooling horses regularly, planning camper activities, & acting as a counselor for our equestrian campers. Can also be used as a paid college internship if needed. No previous teaching experience required!! Dates for 2019: Staff must be available from June 1st through August 9th. Can be used as a paid internship for class requirements, All meals & housing are provided in addition to salary. Excellent hands on experience in riding instruction and stable management. Staff members will have the opportunity to school horses regularly and take riding lessons. 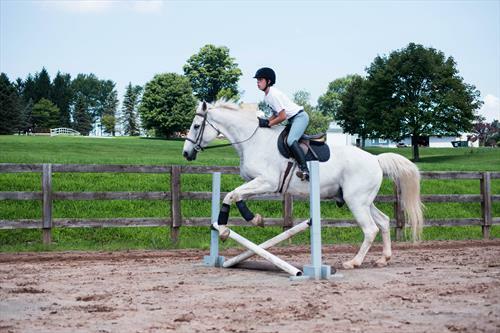 Bryn Mawr Riding Camp is a specialty camp for equestrians, and is set on a 50 acre farm in Northeastern Pennsylvania. 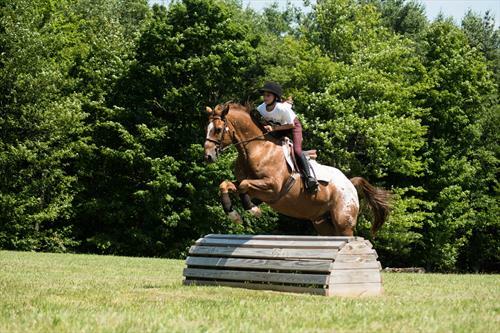 Bryn Mawr's riding facilities include 40 stalls, an indoor arena, 5 outdoor arenas, acres of pastures, several trails, and a cross country course.